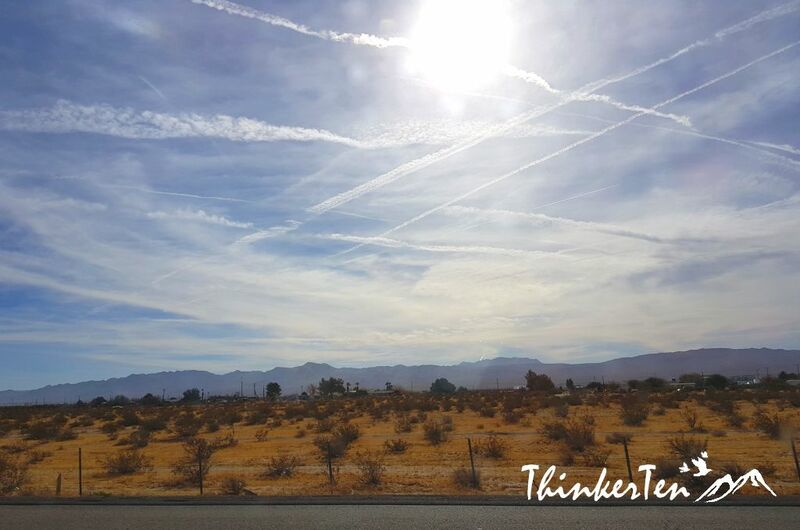 I have documented our road trip from Palm Springs to Las Vegas. We were using the proper highway with less scenic options but it was safer I think. You never know if the GPS is able to work if you choose routes which is near the deserts. Overall I am still pleased with the view as it is still new and stunning for me. 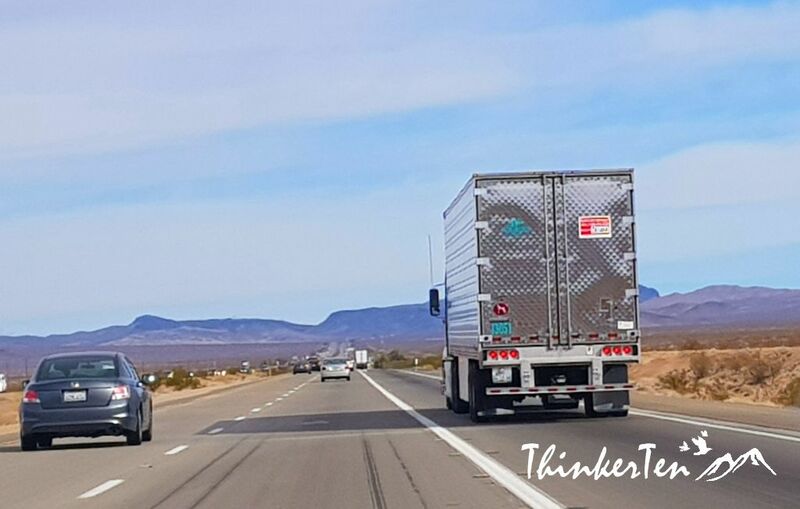 How long from Palm Springs to Las Vegas? The drive is about 4 hours. There are several routes. GPS usually selected the fastest way for you, usually the paved highway. Another option with more scenic? There is another option via Majove & Joshua Tree National Park and you can stop by if you have more time. 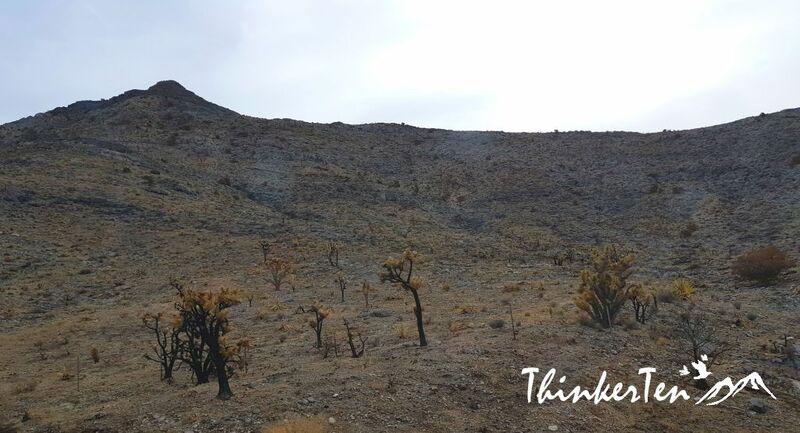 If you choose that route you are closer to the desert and more scenic – our original plan but GPS selected another faster route. Originally we plan to visit Death Valley but worried there might have road closure due to snow in winter, especially around the mountain area. 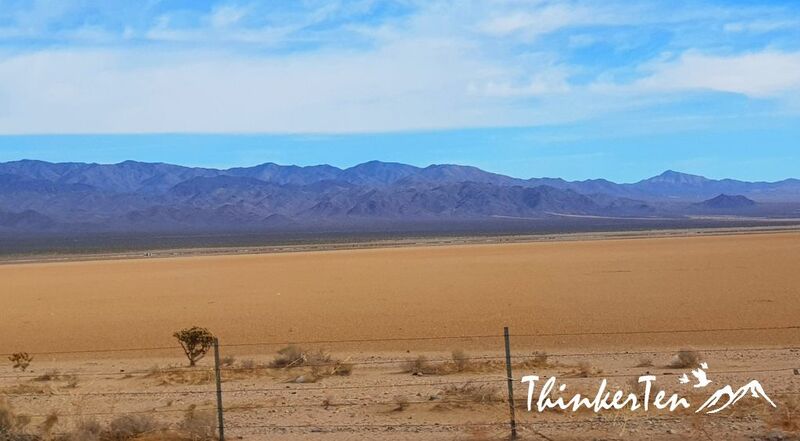 Death Valley is one of the hottest place on earth up to 50’c in summer, also the driest! The extreme heat has killed people in the past so be extra careful. A group of pioneers (for gold rush) lost in Death Valley in winter 1849-1950 and died, hence people called this place Death Valley – a place with violence of nature. In case if you going Death Valley, plenty of water, make sure car air-condition is working well and GPS may not working there. How was the drive like in winter? 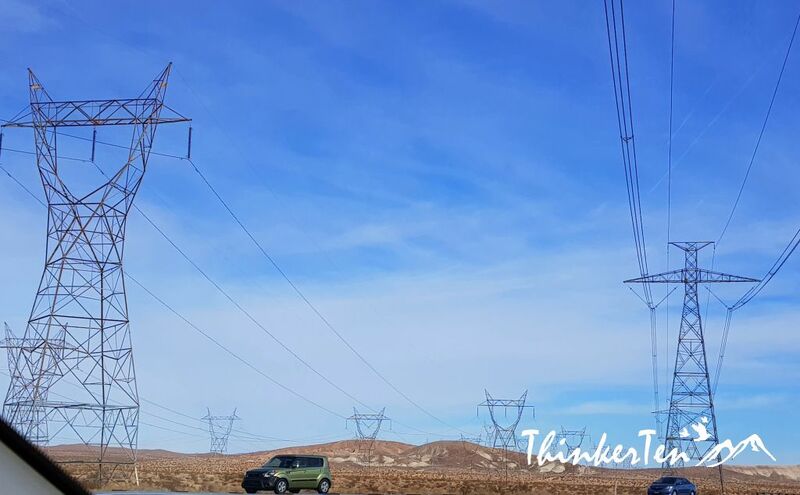 Winter is still pretty hot and dry, especially when you are on the road. Bring along water & use a scarf to cover your face like so (refer to picture below), else your face will get burn by the sunlight. Even you are not afraid of tanning or getting dark, the sunlight is quite harsh and hard to tolerate and there is this burning sensation. Look funny? Ya, after you get off the car, you can take if off. It did help to block away the burning sensation from the desert sun. 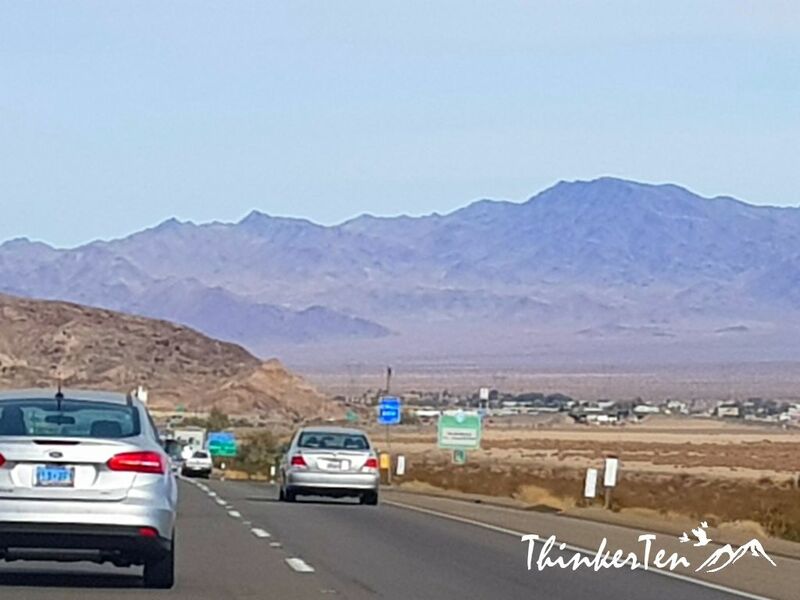 In Palm Springs, I see beautiful palm trees but on the way to Las Vegas, the scenery is totally different and cactus are everywhere along the highway. The Joshua Tree (refer to below picture, the tall one) is a cactus, it looks very much like a tree. 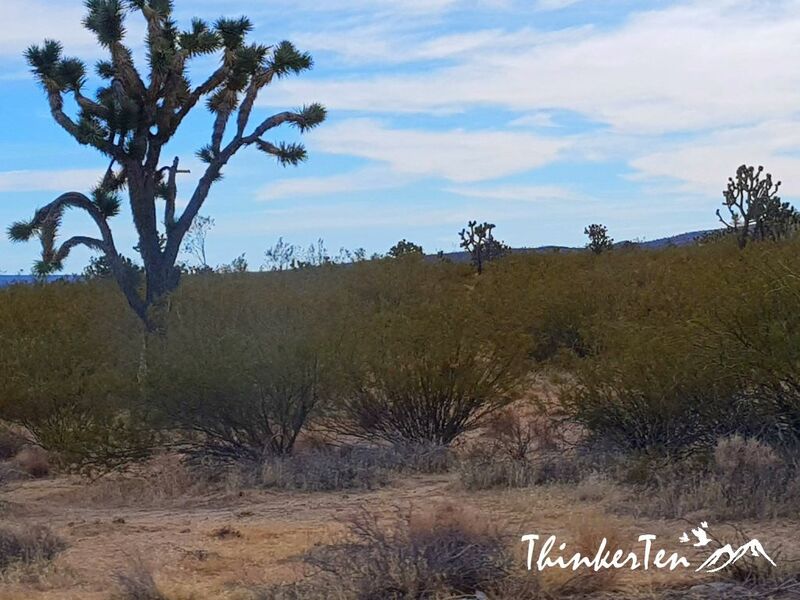 Along the highway, I saw many of Joshua Tree. At first I thought it is a normal trees then only realized it is a cactus. 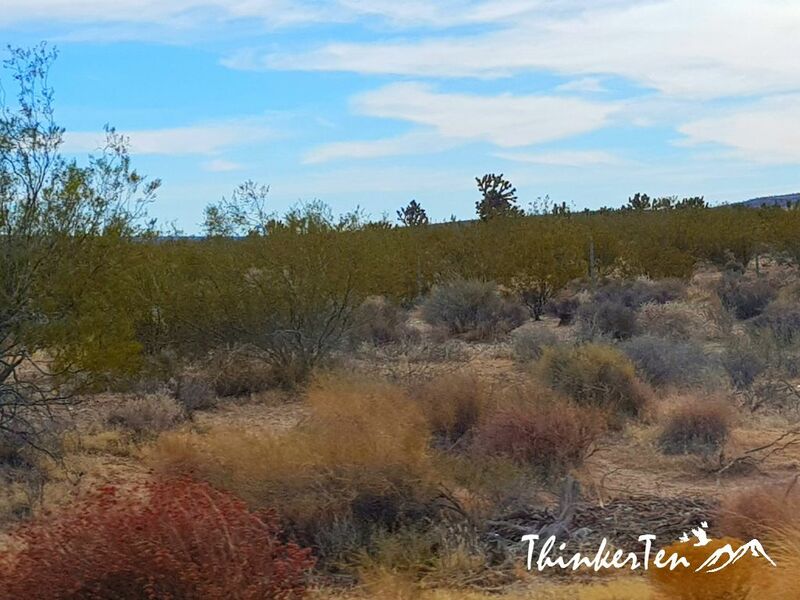 The Creosote Bush has some tiny yellow flowers, this type of cactus can live very long. The average estimated longevity of Creosote Bush may be about 900 years. Amazing to see the plants survive in this harsh condition. You hardly see any lush greenery along the highway. 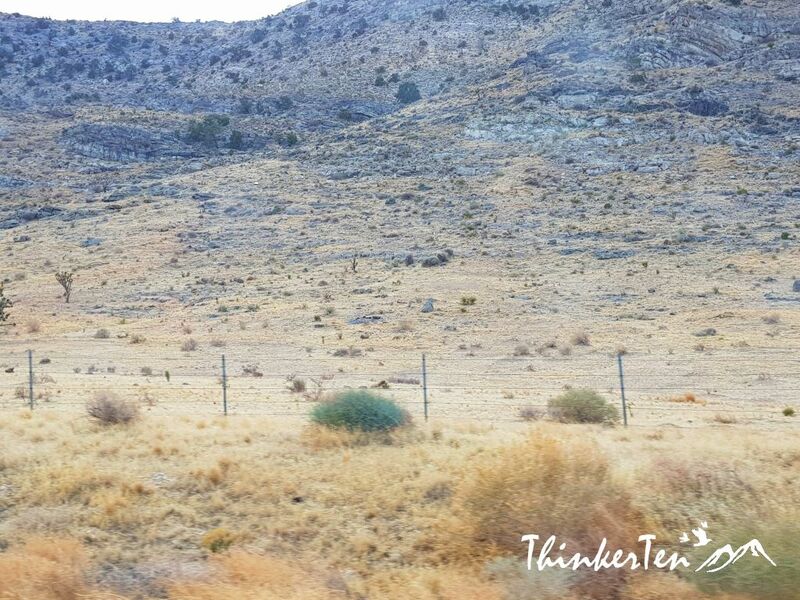 Mostly cacti which make the road trip interesting as we hardly saw such scenic in Asia. 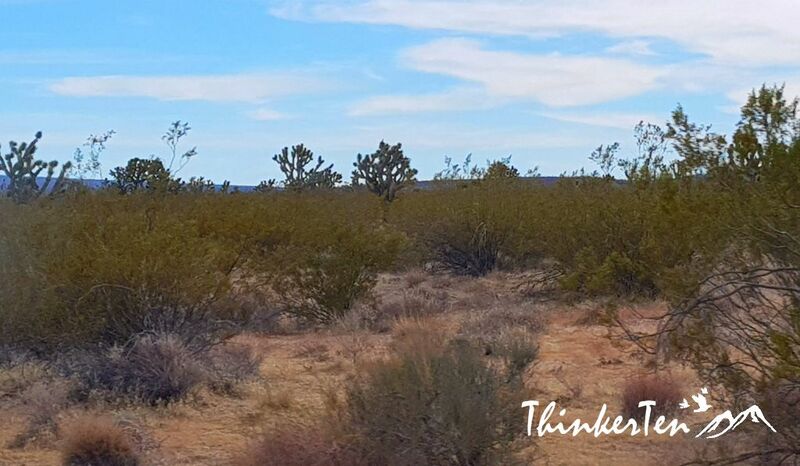 Jumping Cholla is another type of cactus found along the highway. The name “jumping” was used because the stem segments of the plant will detach after slightly touches. Are there any service/rest area along the highway? I hardly see any, so you may want to pump full petrol before you start your journey. Below is one of the service area near Las Vegas, not sure they have gas station in there, only washrooms and some chairs for you to rest. Another hour, we will be entering Las Vegas, Nevada – the Silver State. Calling “Silver State” because of the importance of silver to its history and economy. The first European to explore this region were Spanish and called this place “Nevada” meaning “snow” because of the snow which covered the mountains in winter. The biggest city in Nevada state is no doubt Las Vegas, all jobs opportunities lie in this desert city. Nevada is also the driest state in US, less than 10 inches of raindrops per year. 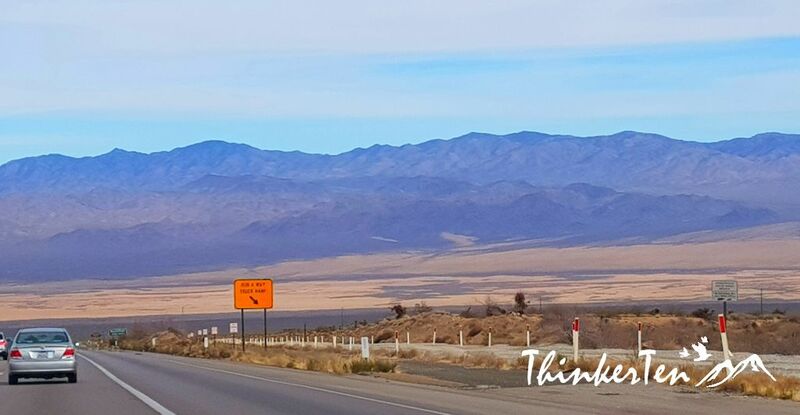 Before entering Las Vegas, we passed by Primm Valley along interstate 15, coming from California State. Few things available at Primm Valley – Fashion outlet, Buffalo Bill’s Resort and the the most exciting should be Desperado Roller Coaster. Pretty scary by just looking at the wooden coaster, built in this way to simulate old mine cars. As you can see, the wooden coaster goes through the man made old mining area. Should be super high thrill if you dare to take up the challenge. Another 20 mins, we passed by another Casino Hotel, the Cold Strike Casino Hotel, another half an hour before reaching Las Vegas. I can’t believe there are so many Casino Hotel before we even step foot in Las Vegas!! 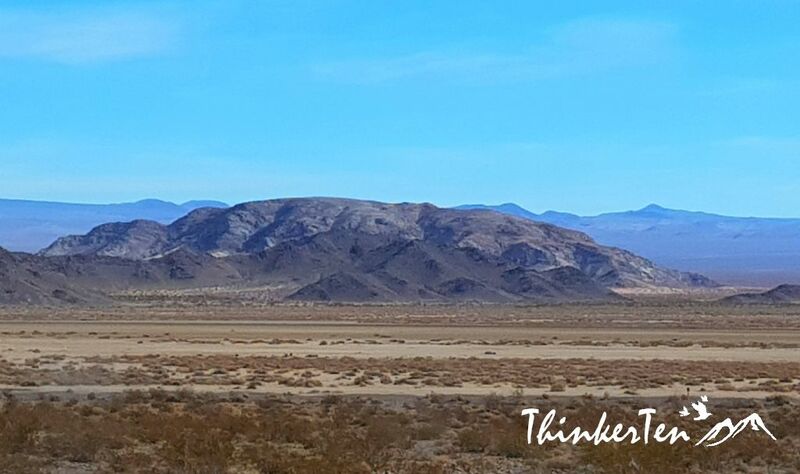 There is another routes which offer better scenic view via Majove & Joshua Tree National Park where you can stop for while to take at look but due to time constraint, we decided to use the fastest route, suggested by GPS which took us about 4 hours in total. Due to winter time, the day is shorter so we usually try to reach to our destination before the sky turn dark. It is harder to see at night. Anyway, I am still pleased with the scenic view which offer mountain, desert & cacti along the good pave highway. 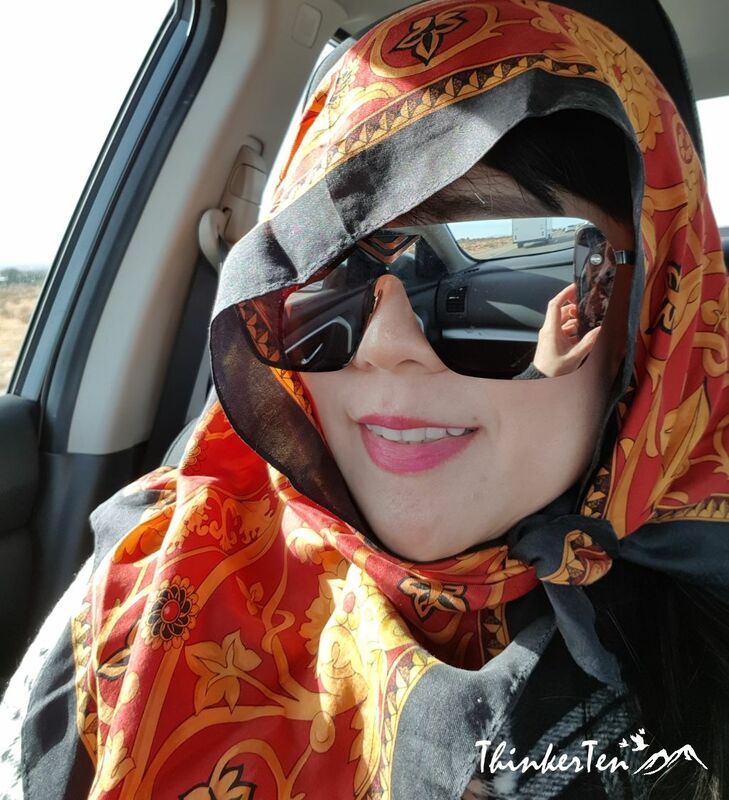 Remember, plenty of water and food in the car & bring along a thin scarf to wrap on your head so that it covered the harsh sunlight from the desert. The desert sun can sting your skin and cause really uncomfortable feeling.